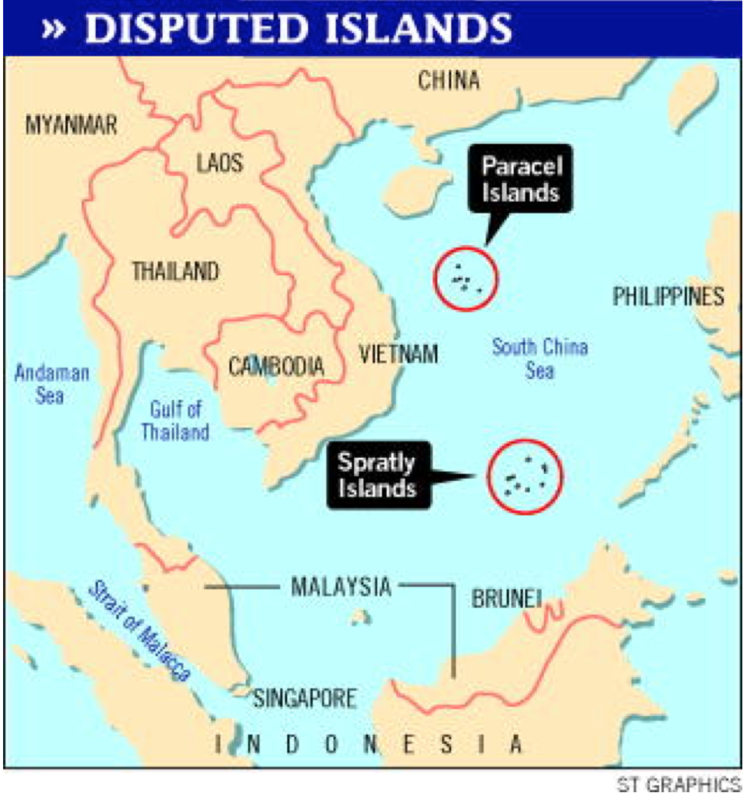 There is a longstanding territorial dispute raging in the South China Sea between China, the Philippines, Malaysia, Taiwan, Brunei, and Vietnam over several groups of islands called the Spratlys and Parcels. While most of the players involved are arguing over which islands belong to whom, China is claiming all of them as its territory. 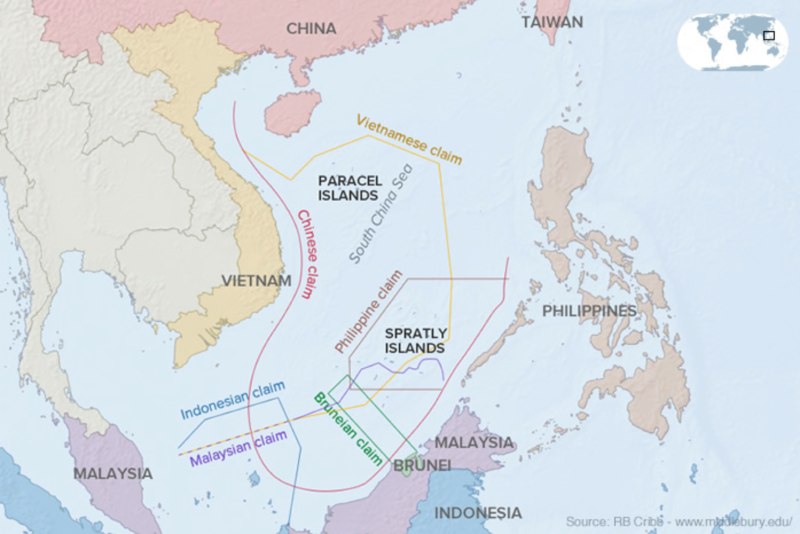 China’s so called “nine-dashed line” encompasses nearly all of the islands and labels over 90% of the South China Sea as part of the Exclusive Economic Zone of China. While the South China Sea dispute has a long and storied past, it is the present and future that pose the greatest difficulties to resolving the issue. Today, many of the islands are occupied by the disputants as they fight for control over the vast energy resources recently discovered below the seafloor. On top of that, advances in land reclamation technologies have enabled China to create and occupy many artificial islands throughout the South China Sea, thus changing the balance of power between the parties and changing the very layout of the area in dispute. This paper first explores the history of the dispute including the geography of the islands and the basis of the various states’ claims. Then, it explores the portions of the United Nations Convention on the Law of the Sea relevant to the dispute and analyzes how they impact the territorial claims being made. Finally, I explore the circumstances and possible outcomes of recent events affecting the dispute such as China’s creation of artificial islands, the United States’ newly announced freedom on navigation patrols, and the Philippines’s case against China in the Permanent Court of Arbitration. In a vicious cycle, the unanswered questions of who controls what and where fuel these territorial disputes which, in turn, raise more and more questions about the parties’ rights under our current legal regime. In the end, these unanswered questions leave us with overlapping claims which, when viewed on a map, border on absurdity. One of the main questions fueling the controversy is a definitional one. Are these islands actually “islands” under UNCLOS, and, if they are something else, what kind of zones do they get?